Camping Lo Monte est un camping qui se trouve à Pilar de la Horadada, Alicante.Ce camping propose des emplacements délimités et non ombragés. Il est possible de louer des tentes et des chalets. Pour les vacanciers sportifs, le camping propose différents circuits cyclotouristes. Il y a des programmes d'animation et un salle de fitness. Pour vous reposer après une journée dense, nous vous proposons un jacuzzi et un centre de beauté. Le camping dispose une piscine extérieure, d'une piscine couverte chauffée et d'un bassin pour enfants. "Camping spacieux. Bel immeuble élégant avec entre autres un spa et une salle de fitness. Belle terrasse avec vue sur les piscines. Fortement recommandé pour toute l'année." This is a well cared and well presented small site on the edge of the urbanisation. We stayed four nights in late May and had a pleasant stay despite the improvement works underway. A new toilet block is being built over former pitches, showing the management want to provide a quality service, not just ram more in for greater profit. Canopies were being added to pitches also. The town is small but has a range of restaurants in walking distance (up to 20 minutes to centre). We paid more for a larger pitch on the side of the site which was worth it to be in a quieter spot. We are glad that your stay in our campsite has been to your liking. Be welcome whenever you want.. Excellent site, very clean and well presented. Toilet facillities very clean as was the washing up area. Price of this site was excellent, although you only have 5A of electricity on ACSI, if you overuse you pay at the end of your stay. Swimming pool area very nice and well kept. Nice beach to walk to. A good bus service would benifit this site greatly. We are glad that your stay in our campsite was of your liking. 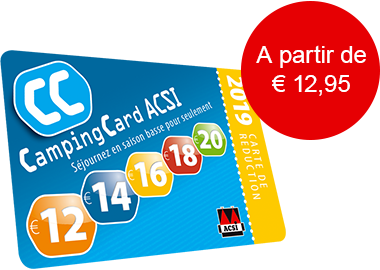 I have just emailed this site after finding details in the ACSI book which state it accepts ACSI discount during this period and the priceis 14€ per night. They have replied to me saying they do not accept ACSI cards and have only one pitch left at 18 € plus electricity charge. I could not honestly review this site as we obviously have not stayed there but this was the only way I could think of to issue a warning to others! Thank you for your opinion that is very helpful and makes us improve. Est-ce que vous souhaitez réserver le camping Camping Lo Monte ou obtenir plus d'informations? Dans ce dernier cas, consultez les explications ci-dessous ou visitez le site Web du camping. AP7, sortie 770 vers N332, direction Pilar de la Horadada. Au 2e rond-point vers Pueblo Latino. Puis à gauche au 1er feu. ACSI Eurocampings transmet votre demande d'informations au "Camping Lo Monte".